Hump day blues? Let's warm up with double the style. 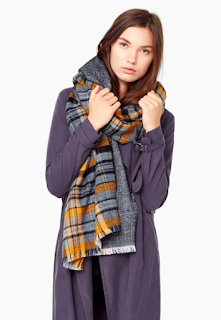 I'm talking reversible scarves. Twice the pattern and style for one price. 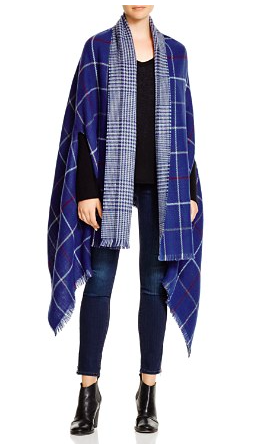 This blanket scarf is a STEAL. Like holy cow. Wear it with chevron or the other side with a cheery plaid. 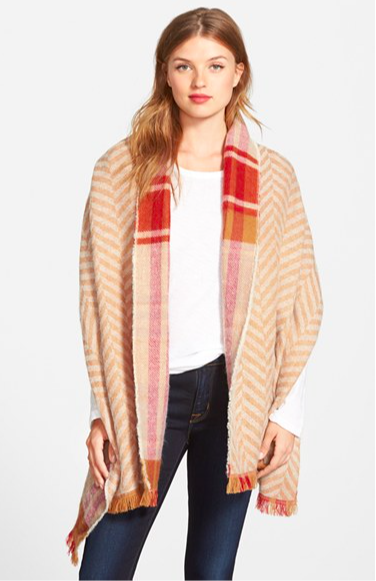 I love this under a coat or belted with jeans. Yellow plaid matches any other color in your closet. Just try not to look as terrified as this model. A beautiful blue with pops of red. I prefer the blue and white side because I'd like the red to pop from underneath. Oh hello cozy. 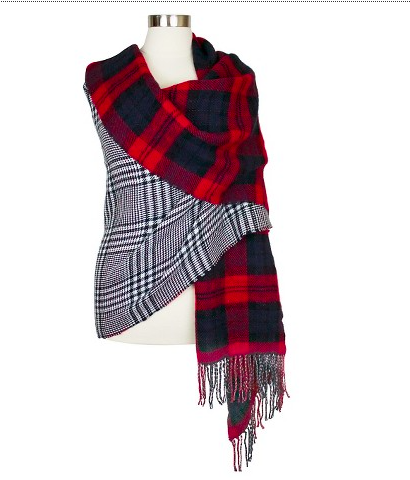 Buffalo plaid is perfect with denim and LL Bean boots on a cold winter day. So wrap up in something that will do double duty without twice the price. Pick up a reversible scarf that keeps you warm and stylish this January.